Home » Stop Diseases » Are You Missing Out on Mindful Cooking? Huge thanks to Jules Clancy of Stonesoup for this week’s article introducing me to the concept of mindful cooking. I’ve certainly made the mistake of viewing cooking as a nuisance, even though I know it ultimately benefits me and my family. I love this new way of looking at it. Jules LOVES real food and hanging out in her kitchen. She has a degree in Food Science and is the author of ‘5-Ingredients 10-Minutes’. For a free eCookbook of delicious 5-ingredient recipes sign up for the Stonesoup weekly newsletter. Recently I realized I’ve been making a huge mistake. Like many modern food writers, there’s one thing I’ve had completely wrong. Rather than celebrating the joy that cooking can bring to our lives, I’ve been guilty of apologizing for activity in the kitchen. I’ve stressed how quick and easy my recipes are (I did write a whole book called ‘5-Ingredients 10-Minutes’) instead of sharing how great they taste or how good they make you feel. I still believe cooking need not be complicated nor time consuming to produce delicious, satisfying results. But I now realize that apologizing for time spent in the kitchen, sends the message that cooking is a chore. Not an activity worthy of your precious minutes and hours. The thing is, I love cooking. And I want to share that love. I hope to inspire you to reframe how you think about cooking. Because there’s so much more to gain than just improving your healthstyle. Essentially it’s enjoying the time you spend in the kitchen rather than rushing in and out. It’s choosing to see the act of cooking as something positive and life affirming rather than another chore to tick off your to do list. 1. You’re more likely to eat real, home made food. As a Summer Tomato reader, you’re probably already all over the concept that the secret to getting healthy and reaching your best weight is to cook for yourself. 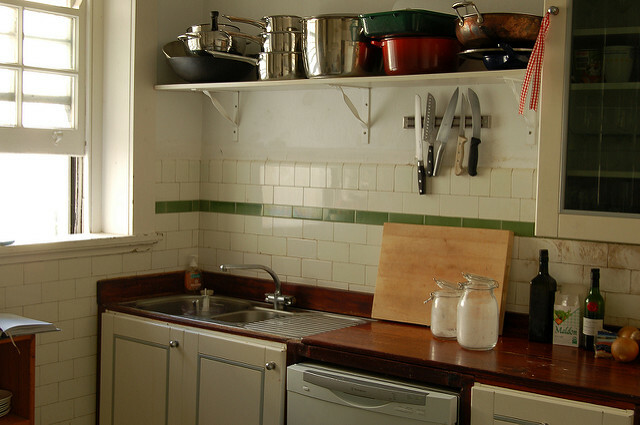 What’s the best way to ensure your cooking habit sticks? Just as making exercise something you enjoy is the key to being more active, finding a way to love your time in the kitchen is the key to eating well. One of my favourite parts about cooking is the opportunity to lose myself in the rituals of chopping, stirring and tasting. Most days it feels like a little meditation, without me having to struggle with sitting still. 3. An opportunity to be creative. I love that cooking gives me a chance to produce something physical that I can smell and taste. So much more satisfying than an empty email inbox. 4. A chance to connect. One of my favourite times of day is when my husband and I hang out in the kitchen with a glass of wine while I’m getting dinner ready. There’s something so easy about this time together. I also have a weekly date with my 3-year-old where we bake something sweet. I do struggle with the mess, but the look of joy on his face as he licks the chocolate cake bowl is worth it. Plus now he can crack an egg without dropping it on the floor, so there is progress! 5. An opportunity to nurture. While I know food shouldn’t replace other signs of love, I find the act of feeding my family and friends allows me to feel like I’m taking care of them. It’s a little gift I give them every day. I also love knowing they’re eating as well as they deserve. OK so I’ll really come clean now. As much as I’d like to think that all these lofty benefits were what first got me into cooking, really, it was the praise. Hearing the words “This is amazing!” was a huge motivator for me to keep spending time in the kitchen when I was learning to cook. And still is. Have you tried cooking mindfully? Do you already enjoy your time in the kitchen? Or is it more of a necessary evil for you at this stage? I’d love to hear your thoughts in the comments below. Jules Clancy LOVES real food and hanging out in her kitchen. She has a degree in Food Science and is the author of ‘5-Ingredients 10-Minutes’. For a free eCookbook of delicious 5-ingredient recipes sign up for the Stonesoup weekly newsletter. Next Dear Dude: My Girlfriend has Celiac and Cheats. What Do I Do?